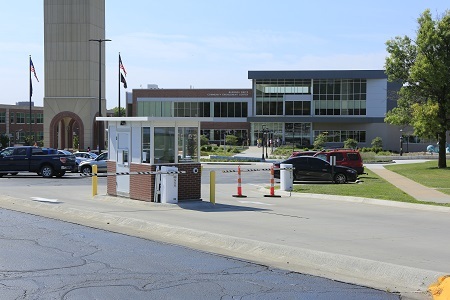 Visitors should enter through the Lot E parking booth, which is staffed with a UNO parking attendant. If Lots E and D have reached capacity for an event, permits are given to people attending events in the CEC or have a confirmed meeting with a building partner organization. Parking requests for event reservations must be included at the time you submit your meeting or event reservation inquiry. Turn onto University Drive West, then left onto University Drive Road North. Turn onto University Drive East, then right onto University Drive Road North. Lot D is located between Criss Library and the Strauss Performing Arts Center and available for visitor and event parking. Use Google Maps to find the best bicycling or walking route for you. Public Safety offers bike safety information and a list of bike rack locations on campus. View the Omaha Metro bus routes. #2 bus makes stops every 15-20 minutes on Dodge Street, in front of the CEC. #11 bus passes close by on Leavenworth Street with a 15-minute walk through Elmwood Park to campus. #15/55 buses operate frequently on Center Street—you can walk from there or take a Maverick shuttle near 67th & Pine, which will drop you off next to the CEC on Dodge Campus. Shuttle routes and stops located on the Dodge, Scott, and Center campuses. Locations for student, faculty, and staff parking on the Dodge, Scott, and Center campuses. Locations for visitor parking on the Dodge, Scott, and Center campuses. Parking lot and student entrance information. 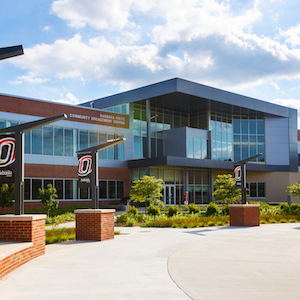 For more information please visit the UNO Campus Maps website.